Walk your guests through a winter wonderland theme party this season. There's no doubt they'll appreciate the festive, cheerful and cozy vibe it offers, as well as the hard work you put into it. Just the sight of the words "winter" and "wonderland" is enough to send that classic holiday carol running through anyone's head. It's worth a closer listen if you are considering throwing a theme party focusing on a winter wonderland. The song focuses on cozy elements that call to mind visions of fireplaces, snowmen, chilly nights and closeness with loved ones. Fortunately, it's not too difficult to give your party a wintry, wondrous theme with just a few special touches. Set the theme right from the start. Choose an invitation that incorporates your color scheme and images of snowflakes, ice or other graphics reflecting the party's theme. Jot down all of the details in silver gel ink for a wintry sparkle. Remember that the invitation is often the first glimpse that guests will have of your upcoming celebration, so set the tone for your party with a festive invite. 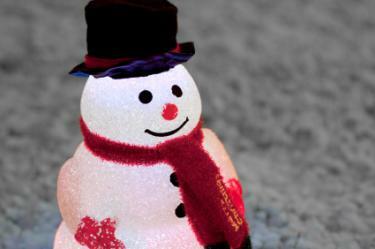 If kids are on the party guest list, a plastic, glowing snowman is a great draw, and a gift exchange might also add some excitement. Snowflake ornaments, fake snow, ice sculptures and other seasonal accessories are also great options. Remember that the fancy details, such as glitzy sculptures and entertainment, aren't necessary to make the party a success. Great decorations and a cool color scheme are sure ways to set the tone for a winter wonderland. Everything from your invitations and decorations to your drinks (and even your food, if you're feeling extra creative) should follow this color scheme in order to best create a true wonderland theme. Don't skimp where the accessories are concerned; in the end, your party will positively radiate with winter charm! Dress the tables up with elegant white tablecloths. These can be purchased for reasonable prices at discount stores like T.J.Maxx or HomeGoods. Accent each table with silver accessories, like placemats, napkins and cutlery. Purchase these festive hues at any local party store during the holiday season, or buy them in bulk at a warehouse store. White candles placed in glass jars and surrounded by garlands of silver tinsel are eye-catching, but not ostentatious. A cluster of small candles on each table looks mesmerizing, especially when placed inside frosted blue glass candle holders. Snowball candles, placed on a decorative candle plate, are a perfect touch. Some are available with gentle scents to further set the mood. You've got the candles set up, but the party isn't complete without twinkling lights. Place strings of lighting over window frames or on trees. If it fits in your budget, add light branches to corners of the room for an elegant, dreamlike effect. Finally, dress up your punch bowl with light cubes, which are FDA-approved plastic cubes resembling illuminated ice cubes. They'll add a resplendent glow to your buffet table. When it comes to holiday party food, the options are endless. That's because the season offers so many sweet indulgences that just about everything seems appropriate. 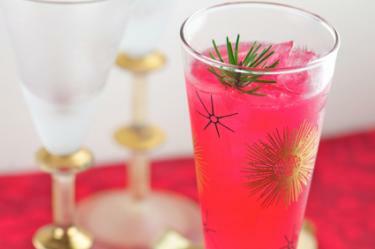 If your party focuses on a winter wonderland, though, you'll want to build the majority of your menu with that in mind. Forgo the typical punch bowl in favor of sparkling cider, hot apple cider sprinkled with cinnamon and hot cocoa with whipped cream and marshmallows. Offer tea, coffee and some soft drinks for individuals who prefer a more basic option. Another option for dessert is to set up a table filled with festive cookies and cupcakes. 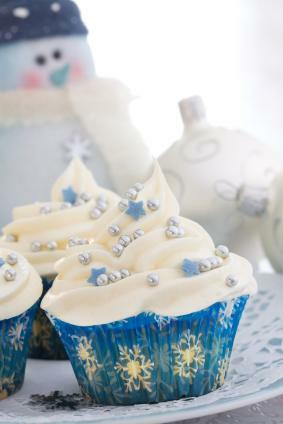 Be sure the treats are decorated according to your winter color scheme. Mingling with friends and family are often all you need to do at a winter wonderland party but why not add an additional element of fun with some games and activities to liven up the bash. Pin the Nose on the Snowman: Just like the classic "pin-the-tail-on-the-donkey," this game gives kids the chance to pin the nose on the snowman. Have a large snowman hung on the wall. Cut out carrot shapes to use for the nose and give each child a nose. Blindfold each child and spin them around then let them try to stick on the nose. The one closest is the winner. Snowball Relay: All you need for this game is a bag of cotton balls, buckets and spoons. Set buckets filled with cotton balls at a starting line and some that are empty several feet away. Kids can be divided into teams and will take turns scooping out the cotton balls with spoons then carrying them to the empty buckets. The team who gets the most cotton balls into the buckets is the winner. Winter Charades: Let your guests choose an idea of their own to act out or make up words and place them in a hat before guests arrive. The word must be related to winter. Use words such as Santa, snowman, sleigh ride and ice skating. Name That Song: This game begins with guests picking a random word from a Christmas song. The others will try to guess what the song is based on the one word. If no one guess the song, there can be a challenge where the person who first picked the word must sing the song to confirm that the word is actually part of the song. 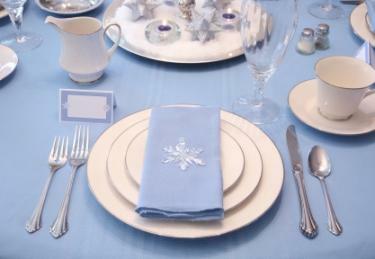 A winter wonderland theme can make your guests feel as if they are in a magical world of winter. This wintry theme can be dramatic and stunning and is also quite simple to achieve.